Paper given at City/State Conference, July 2002; published in the City-State Reader (Sam de Silva, ed.). By no means entirely—but certainly in the sense that the moral virtue of surveillance is declared necessary—cities are all ramparts and commerce, mobile throngs requiring the legislation and criminalisation of traffic, intersections, various stops and flows. In other words, surveillance is less a collection of technologies which might infringe upon the private spaces of its citizens’ lives that the surveying of the movements of bodies in and through heavily partitioned spaces, including, but not limited to, the geopolitical enclosures of the nation-state. If you need empirical evidence that the border is the place where surveillance happens without parallel, then you need only check the budgets. But that is not, I think, the reason why it’s important to talk about border policing in the context of a discussion about surveillance. Sure, there’s lots of surveillance technology being deployed at the border. But, putting it like that makes it seem as if there are these pretty elaborate, expensive technologies and, then, there is border policing. As if it were possible to understand them as distinct occurrences, separate processes brought together out of mutual convenience. My first point, however, is that border policing and surveillance are pretty much the same thing. Post-911—or was it post-Tampa?—it’s become a real buying spree. Over 12 million dollars for research into High Frequency Surface Wave Radar. 275 million to enhance the Over the Horizon Radar. 160 million to purchase the remote controlled, surveillance aircraft called—how very poetically—the Global Hawk. 2 billion to buy P-3C, long range surveillance craft. And that’s just some of the new stuff. It doesn’t include the technologies already deployed by a bloated and aggressive Coastwatch. Or by the navy as it patrols the northern oceans looking for small boats to fire warning shots over. It doesn’t include the billions already spent on information systems, surveillance technologies and biometrics used in the internment camps. The work surveillance does, or the work surveillance technology is trained upon doing, is to generate an answer to the question of ‘Who goes there?’: recognition, identification, taxonomy, database. [statewatch/SIS] Surveillance is, in the most emphatic of ways, interrogative. And, it is the border crossing, the passage through entry and exit points—or the creation of ones that did not exist before—that triggers surveillance, even if this border exists as an intersection, the possibility of moving through delineated spaces. Because, above all, borders are not so much about exclusion as they are about the regulation and transformation of the movements of bodies (become calculable, exchangeable) through space, the habituating of space as market and movement as commerce. In other words: normalised, authorised people-trafficking. Today, we tend to associate surveillance with hi-tech gadgets, systems that are, by and large, automated and electronic. But what surveillance does is ask the question that every border guard has asked since sentries were first deployed around the encampment, the fortress and the city state. That is: ‘Who goes there?’ Put another way: surveillance is interrogative. It seeks to identify the figure (the kind of boat, the type of person) moving or existing within a particular, mapped out space. To determine whether these bodies belong there, have a right to move into certain spaces. And, not least, as a way of regulating what kinds of movements are allowed within and across those partitioned spaces. So, surveillance presupposes a classification system. Today, much of that exists in the form of the database. But the outline of this classification system was firmly established a long time ago, as the first ramparts went up around the first cities. As the sentry towers were arranged high enough so that the guards could announce that there were barbarians at the gates. 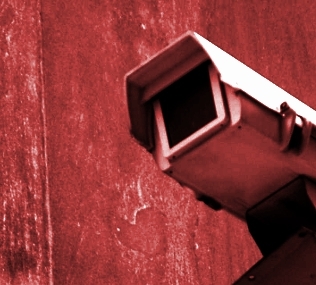 This is the low-tech history of surveillance. The databases that inputs and outputs from surveillance is, I think, inseparable from this historical origin. The rather crude idea that there is civilisation here, and barbarians out there. In short: all surveillance is built on versions of ‘stranger danger’, xenophobia. Today, classification systems, the categories upon which databases are built, recalls the terms of this distinction between barbarism and civilisation, the stranger and the citizen. Since the campaign of ‘saturation surveillance’ was announced, post-Tampa and post-September 11th, it is not so much that the sense of border protection has been altered as that the commonplace ground of opposition no longer warrants the appelation of ‘opposition’ and is demonstrably unable to gather one together, barely audible as anything more than an appeal to conformism and depoliticisation. What generally passes for critical accounts of surveillance are addressed—not invariably, but frequently enough—to the figure of the (generally) law-abiding citizen, quietly reposing in an Orwellian fantasy of being inextricably criminalised by a capricious ruler or troubled by some imminent collapse of the distinction between public and private spaces which threaten his enjoyment of his differences as nothing more than private tastes. There is no opposition here, because (and not forgetting Orwell himself) the premises of surveillance, border policing (and the recent ‘anti-terror’ laws) are left intact. It is still permissible to snitch on the ‘real criminals’, especially the unpatriotic ones. It is still regarded as acceptable to undertake one’s own paternalistic survey, so long as the objects of one’s gaze have less social power, located as they are somewhere on the road to Wigan Pier. In any case, the idea that there are barbarians at the gates, endangering the civilised social fabric, at some point in history, begins to imply not only those ‘out there’, beyond the gates of the city. But a kind of double figure emerges, existing both inside and outside the city at the same time. This inside version—in an earlier register, referred to as the dangerous classes—consisted mostly of immigrant workers, many of them from Ireland, who had made their way to the emerging industrial towns of England. Needless to say, many of these people were later convicts, deported from England to Australia. That section of the working class who could not be entirely captured by the identity of the working class. Those who moved through the the city as an unmanageable throng. That is, those who did not move through the city as if it were only a market, where public encounters were not simply those of buying and selling, commerce. Or certainly not the kind of buying and selling that the state had authorised. Put another way: these were not the good citizen-workers who would take their enjoyments, their cultural, political and social differences into the privacy of their own homes, just as one might consume a commodity, indifferently. For the dangerous classes, difference was also dissent, and it was also public. In any case, there are two points worth making about the emergence of this doubled figure, the barbarian both at and inside the gates of the city. The first is that it really does mark the point at which surveillance was directed inside the city limits, when it became generalised as the social norm. I think this happened well before 911, has been happening for centuries, with some ebb and flow. But certainly, after 911 there’s really no denying it for a generation that can’t recall things in terms of centuries, and who imagine that the experience of postwar, western countries is how it’s always been for everyone. Because whether there really is such a figure as the barbarian is beside the point. The barbarian is a category from a database, constructed less as a reference to something actually existing than in order to provide the counterpoint to the category of ‘civil’. All it takes is for the state to classify someone as a barbarian, and then, the worst becomes acceptable. In response to this, we could insist that we’re not barbarians. That, really, we are civilised. A move that pretty much amounts to pointing the finger at someone else, because it assumes that there are still barbarians, real ones somewhere, who really do deserve all the attention. Or, we can do some jamming instead. At the very least, acknowledge that disobedience is no longer afforded the luxury of being civil, if it ever really was.